Follow these steps to create an app based credential. 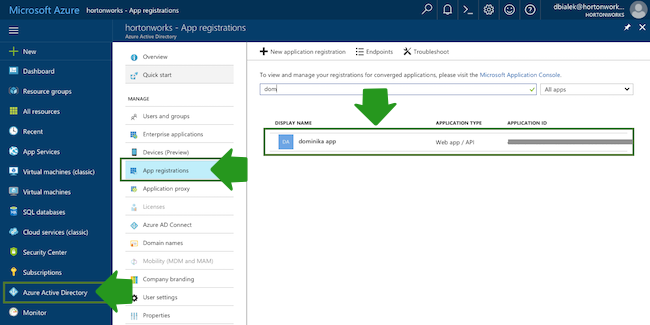 On Azure Portal, navigate to the Active Directory > App Registrations and register a new application. For more information, refer to Azure documentation. Aa an alternative to the steps listed below for creating an application registration, you can use a utility called azure-cli-tools. The utility supports app creation and role assignment. It is available at https://github.com/sequenceiq/azure-cli-tools/blob/master/cli_tools. 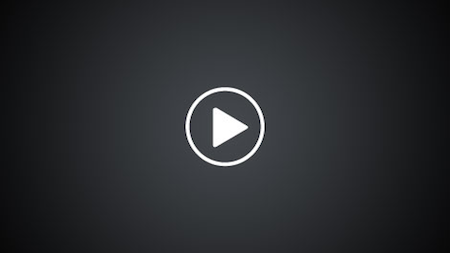 Navigate to the Subscriptions, choose Access control (IAM). Under Role selecting “Contributor” or other role that includes the minimum required action set (If using a custom role, use the following role definition). If you are unable to use the "Contributor" role, you can create a custom role by using the following role definition, which includes the minimum permissions required for creating clusters with Cloudbreak. 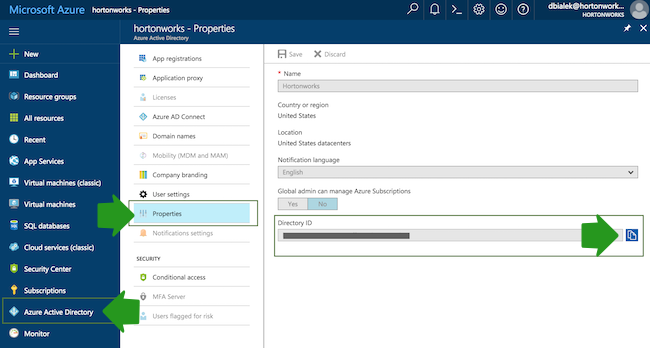 This step can only be performed by a user with the Owner role, so you may have to contact your Azure administrator. Select Credential Type Select App based. 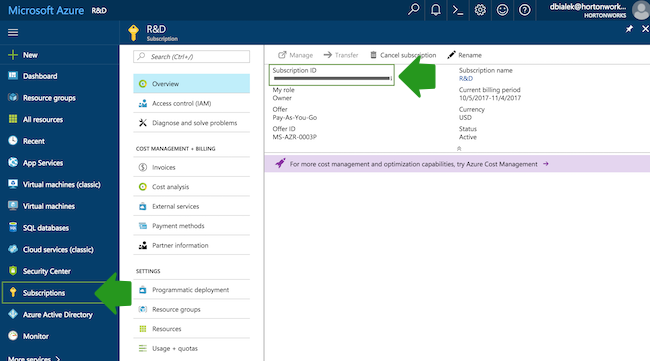 App Id Copy and paste the Application ID from your Azure Active Directory > App Registrations > your app registration’s Settings > Properties. Password This is your application key. You can generate it from your Azure Active Directory app registration’s Settings > Keys.